Register now for AC05 and $ave! Registration has begun for the Massachusetts Bar Association's Annual Conference 2005, set for March 3-5, 2005, at the Marriott Copley Place Hotel in downtown Boston. 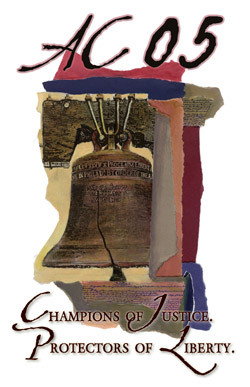 The theme for this year's conference is "Lawyers: Champions of Justice. Protectors of Liberty." For two Massachusetts appellate lawyers, Wednesday, Dec. 1 won't be erased from their memories for the rest of their lives. That day Massachusetts Attorney General's Office Appellate Division Chief Cathryn A. Neaves and Committee for Public Counsel Services staff attorney David J. Nathanson appeared before the United States Supreme Court, an opportunity most lawyers only dream of. Of about 7,000 cases on the docket each term, the Supreme Court grants plenary review and oral argument to only about 100 cases.